Carl and I are doing a radio show tonight, on how to use the planetary energy to super charge your hopes, dreams and intentions. We have a super charged month ahead, with the Solstice on the 21st, a full moon and two eclipses. ... See More Also we've got four heavy weight planets retrograde at the moment and the north node changing signs soon. It's time to re-write our lives and dreams, and time to re-write what humanity is all about. 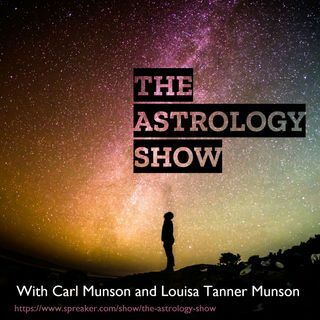 To call in to the show, ask a question or share your dreams with us, contact Carl on what'sap (00 351 913 590 303) or email me at louisa@feelgoodastrology.com. Big love to you all. Show starts late tonight between 11 and midnight...and goes on until we just aren't feeling it anymore! That's so funny. Love ya man!